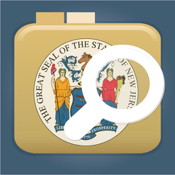 New Jersey Professional License Lookup for the iPhone and iPod Touch allows a quick and convenient way to check on the professional license status of doctors, nurses, contractors, accountants, and any other professional offering services that require state licensure by the Division of Consumer Affairs. This app offers an easy interface to select the type of professional, along with a wildcard search to quickly locate the name of the individual or company. Results clearly display the license information and status, along with an email feature to send the information directly from your iPhone or iPod Touch.